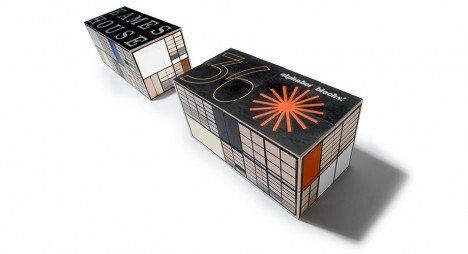 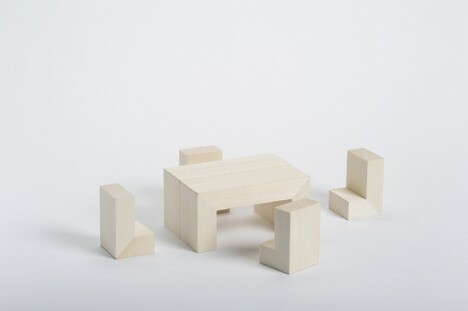 Foster an appreciation for fine modernist architecture and design from an early age with Bauhaus dollhouses, Eames block sets, mini Corbusier lounge chairs and urban planning board games. 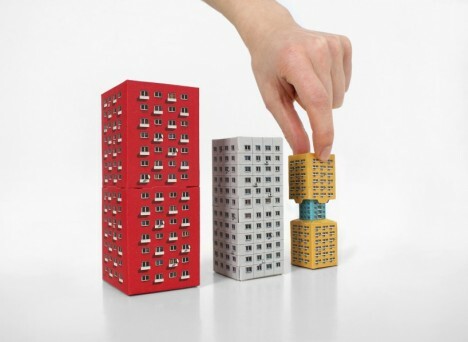 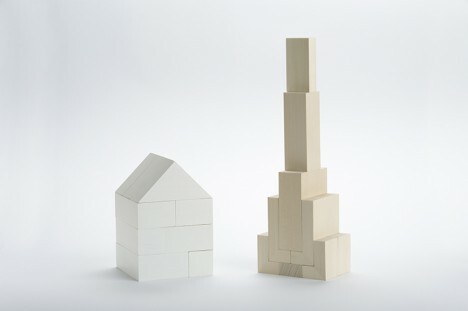 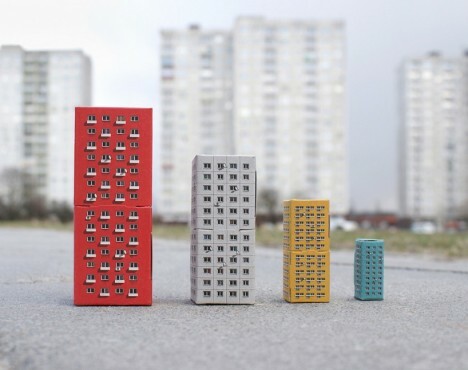 There’s a minimalist dollhouse that doubles as a coffee table, a Matryoshka-style set of paper modernist estates and of course, the pleasingly all-white Architecture Studio set by LEGO. 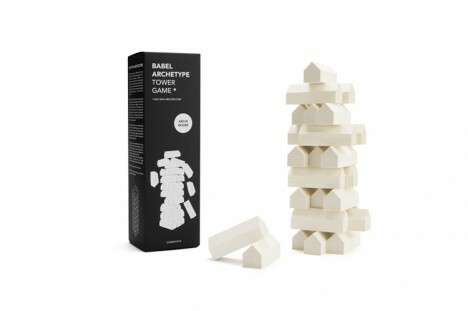 Sure, you can get these architectural toys and games under the pretense that they’re for your kids, but we all know it’s really you who’ll be playing with them. 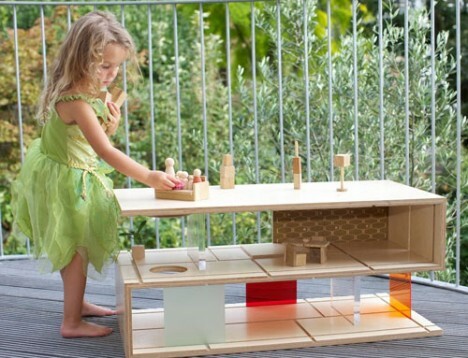 Functioning as a modernist dollhouse for kids and a coffee table for adults, the Qubis Haus features sliding panels made of wood and perspex so the ‘architect’ can create various room layouts. 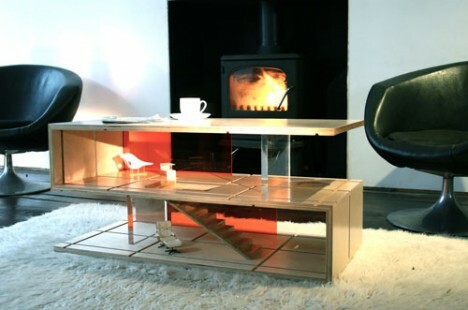 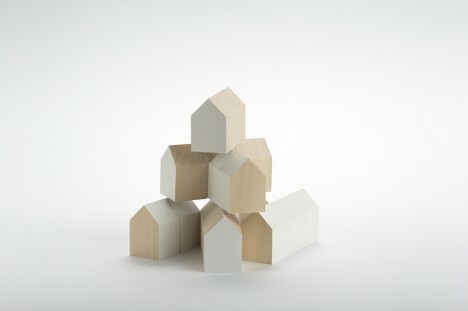 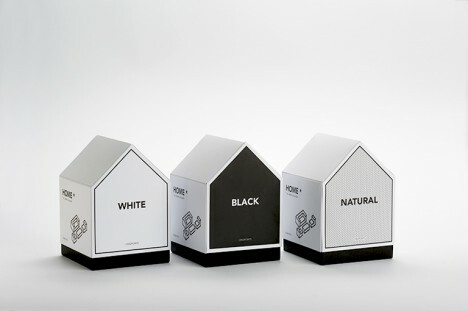 Made of solid birch, it has clean modern lines honoring a period of architecture that’s not often seen in doll houses. 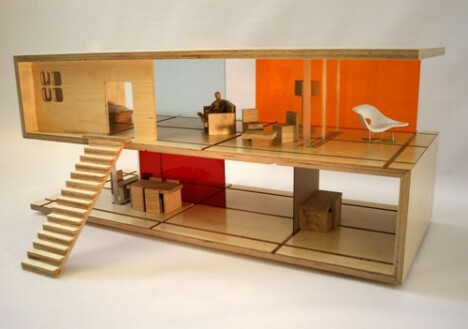 Not just any old furniture should be placed inside a modernist dollhouse. 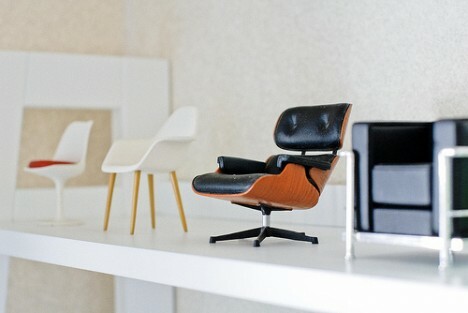 From the Vitra Design Museum Shop comes a series of iconic pieces in miniature form, true to scale and replicating the originals down to the smallest details including the materials, the grain of the wood and the reproduction of the screws. 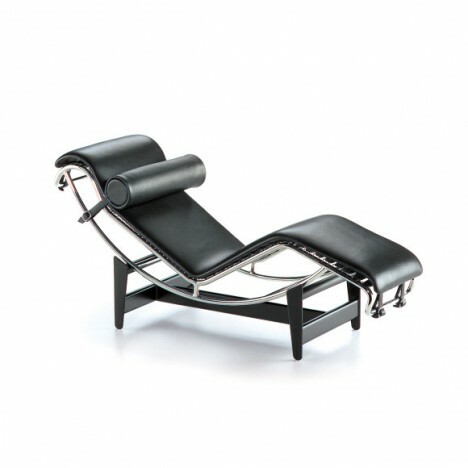 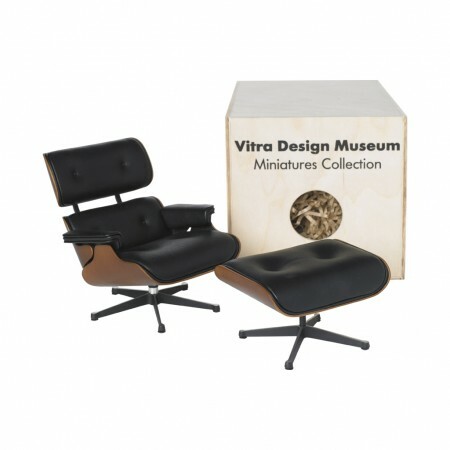 The collection includes chairs by Charles Eames, Marcel Breuer, Frank Lloyd Wright and Mies van der Rohe. 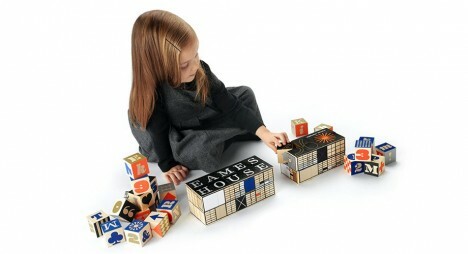 Bring the famous Eames House and Studio to your coffee table or playroom with this “authentically engineered” set of 36 alphabet blocks created in direct collaboration with the Eames family. 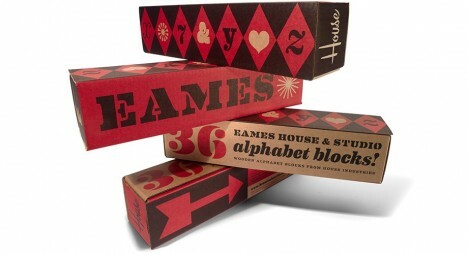 The colors were so carefully matched to the original, the block set requires 29 separate hand-pulled print passes when it’s being produced.